Corelle cup by Corning with the hook handle. 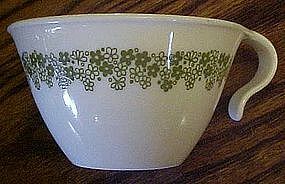 Goes with the pyrex Spring blossom or crazy daisy pattern. I have 4 of these cups available. Price is for each. All are perfect.